Premium, Southern-made sea salt crafted from clean salt water utilizing solar evaporation. Rustin and Teresa have always found themselves close to nature, whether it’s working as river rafting guides in Alaska or leading trips through the Florida Everglades. When they moved to Charleston, South Carolina, they wanted to maintain their strong relationship with the land. As they took in the tastes and smell of Charleston, Rustin and Teresa fell in love with the flavor of the natural local sea salt. 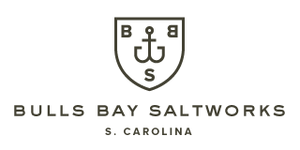 Led by a strong desire to integrate Charleston salt into their meals while maintain a small carbon footprint, the team began Bulls Bay Saltworks. Bulls Bay is located in the Cape Romain National Wildlife Refuge, home to one of the healthiest saltwater ecosystems. Once the water is harvested, it is evaporated using solar energy. Rustin and Teresa take the utmost care to track the tides and rainfall, ensuring a finished product void of bitter magnesium salt. 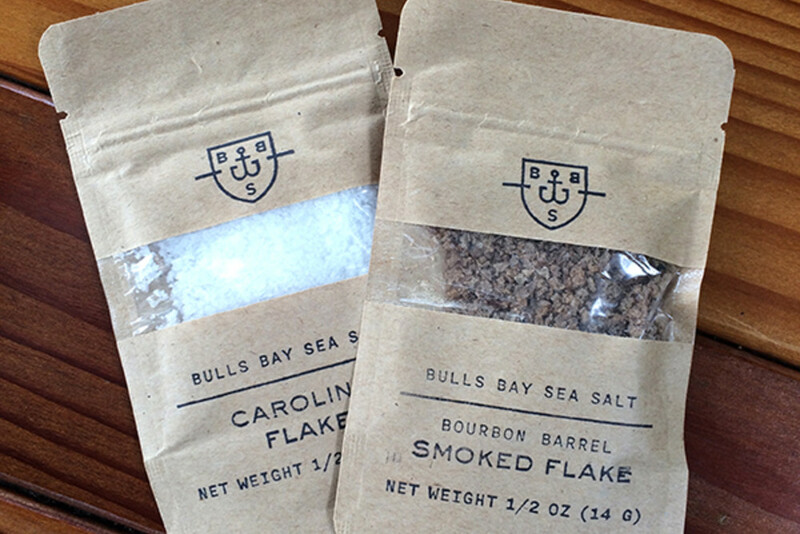 Bulls Bay Saltworks provides ocean-fresh sea salt direct from the pristine waters of Bulls Bay. This outstanding water collection site salt allows them to produce a unique salt with natural purity & distinctive taste. Harvested from Bulls Bay in the Cape Romain National Wildlife Refuge, Bulls Bay Sea Salt is crafted from clean healthy water. 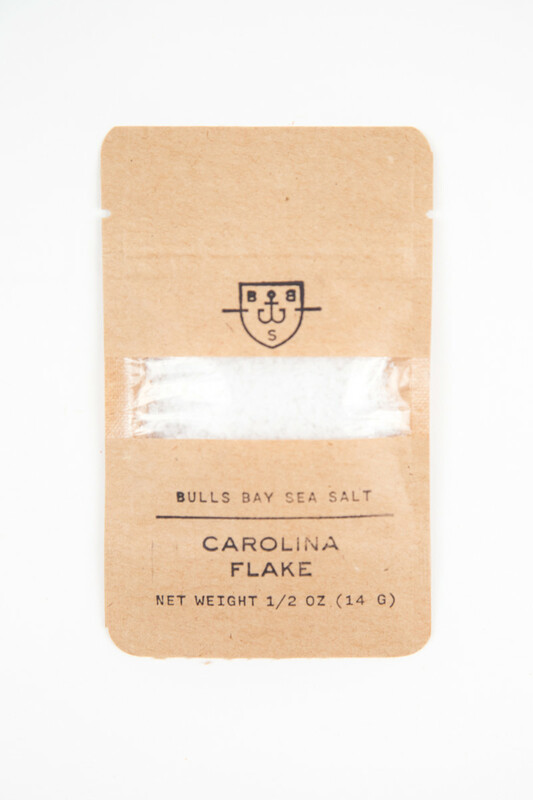 The sun evaporates the water to leave natural salt with a distinctive South Carolina taste. The Carolina Flake is designed with both home chefs and professionals in mind. .5 oz. 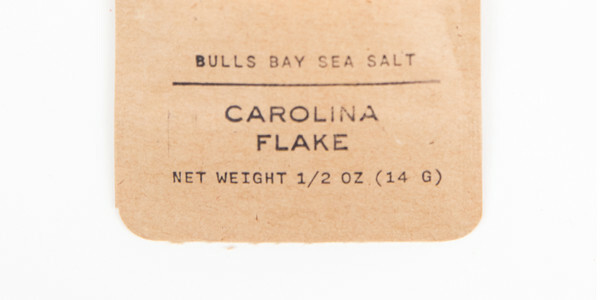 Learn more about how Bulls Bay Sea Salt sustainably sources their salt.